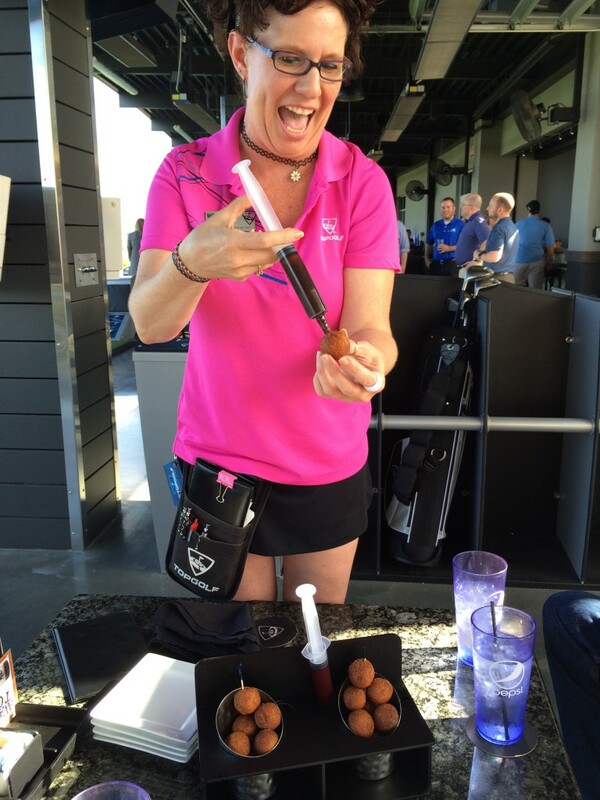 Golf has just become ridiculously fun for all—the serious player and the total novice like me. 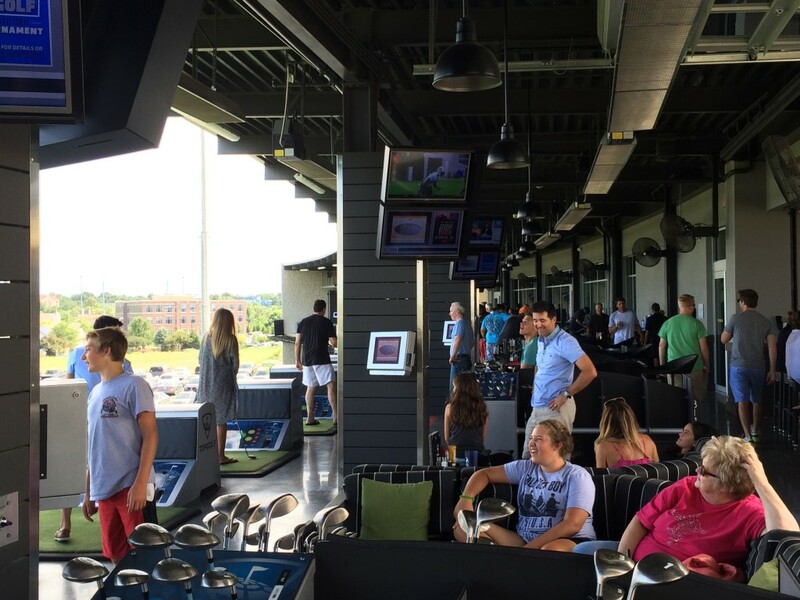 Topgolf opened in late June, and the wow factor is definitely here. 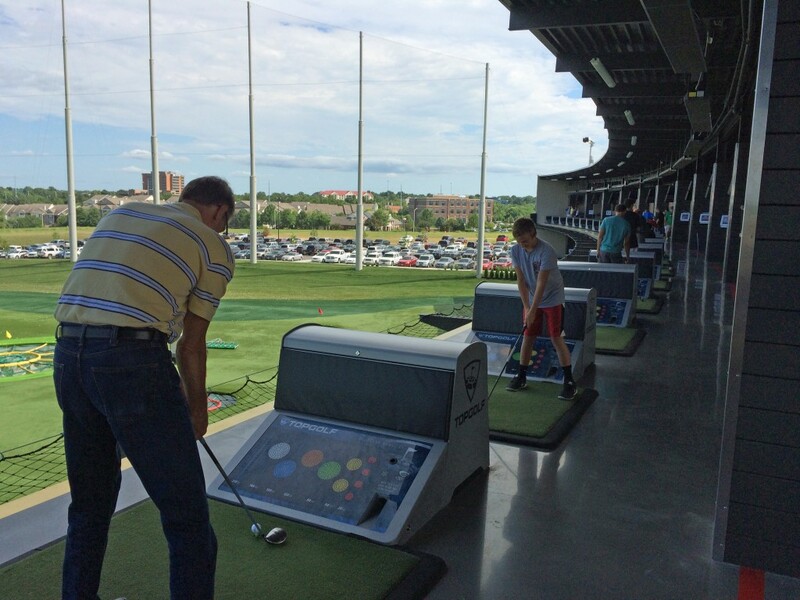 It’s a driving range on steroids with upscale amenities that’s enjoyable in any season, hot or cold. 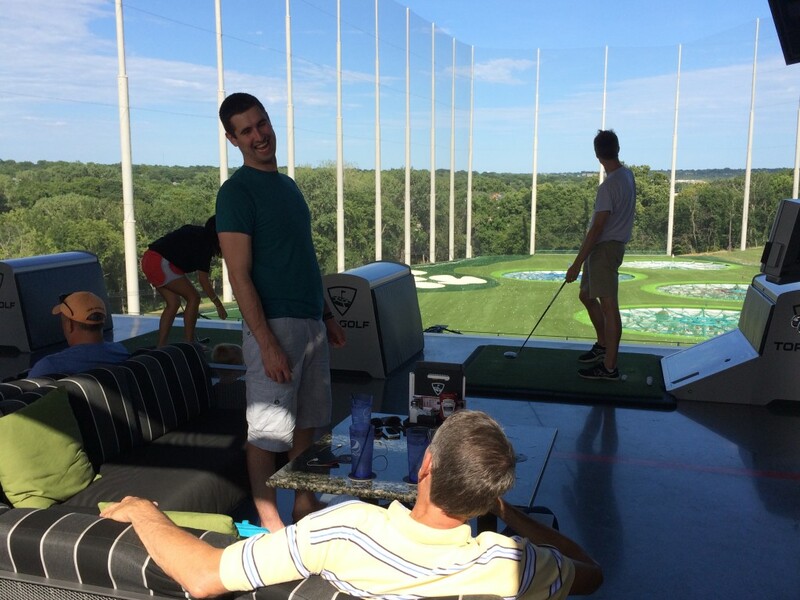 My husband and I, along with our two twenty-something sons, decided to check out Topgolf on a Wednesday afternoon. Upon our arrival, we signed in and were whisked up to a third-deck, hitting bay for quick instructions. Situated in a half-moon, more than 100 open-air bays on three levels—all first come first serve—face an outfield with circular, netted scoring areas. 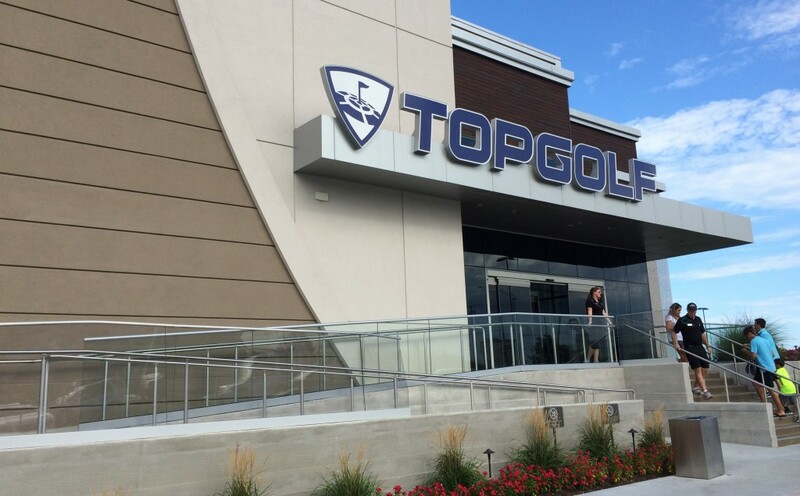 Topgolf is set up to test the mettle of the best golfer, a handful of people actually brought their own clubs, or make the beginner feel like a winner—that would be me. Each hitting bay is climate controlled, so weather isn’t a huge factor. We visited on a day with temperatures in the low 90s and never broke a sweat. (In winter, the garage doors roll down to form a back wall and seal off the elements while ceiling heaters warm up each bay. In summer, those doors are open, creating a nice breeze.) It’s virtually a year-round facility. Back to the game. With the wave of my club, a ball dropped from the chute onto our individual tee. And the friendly competition began. Micro-chipped golf balls tracked the shots as they landed on the various outfield targets. Each high-tech ball instantly scored the accuracy and distance. 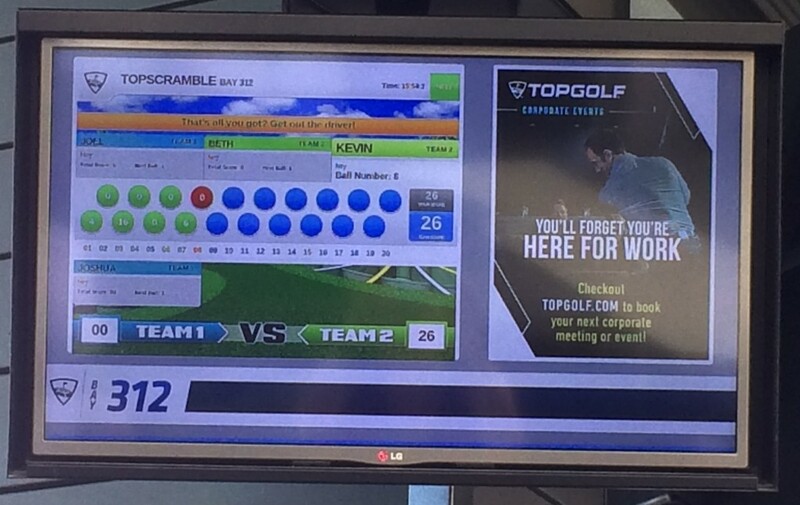 Scores appeared on an individualized overhead monitor in the bay. Everyone loved the instant feedback. 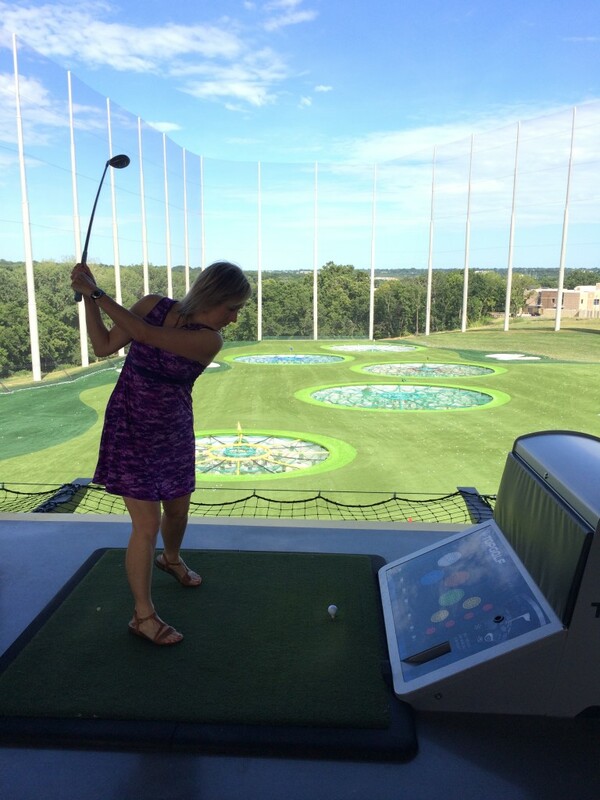 Surprisingly, my limited driving range experience paid off, and my competitive juices began to flow…I actually won a round. Rounds can be configured for individual or team play. Just as pleasurable are comfy couches for lounging and the enticing menu. According to our server, Mickey, most menu items are made in-house. I started with a skinny white sangria. Next, we ordered two appetizers: signature nachos topped with smoked brisket, drunken bean purée, three-cheese blend and chimichurri drizzle and the craft beer queso served with fresh salsa—both delicious! 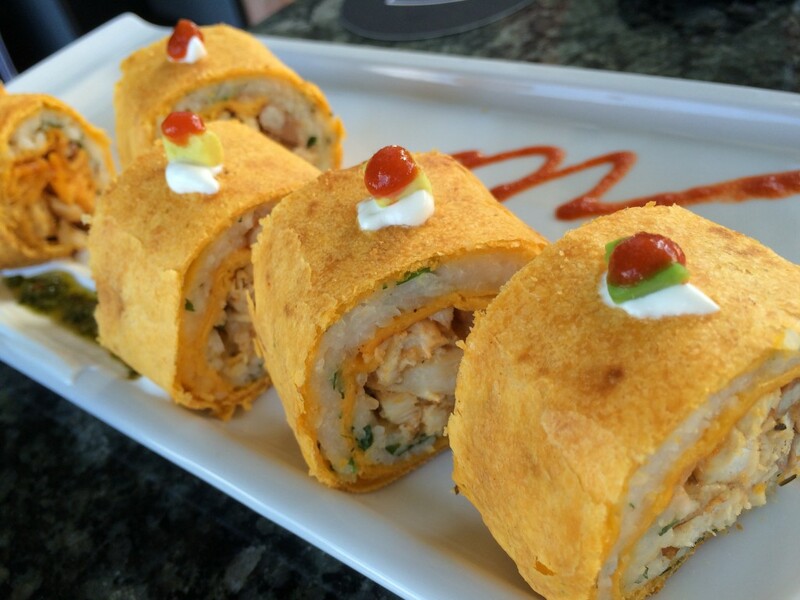 Mickey recommended the Mushi, an original dish made with cilantro sticky rice, drunken beans, spiced chicken and Cheddar cheese rolled in a jalapeño tortilla and then garnished with sour cream, avocado and Sriracha hot sauce. 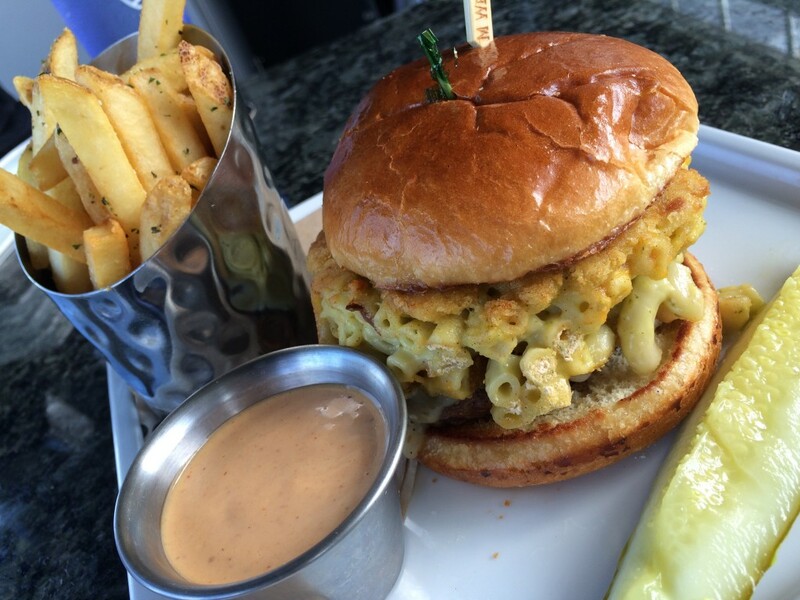 My men can eat, so we divided Topgolf’s renown Mac Daddy burger, a combo of Angus ground chuck, short rib and brisket topped with their own green chili mac ‘n cheese and sliced pepper jack cheese on a brioche bun—Yum! To finish, we sampled the injectable cinnamon-sugar, dusted donut holes. Each plastic syringe held a different filling flavor. Bavarian cream was the winner with chocolate and raspberry jelly close behind. Prices were good too, ranging from $9 to $13 per item. Two hours flew by filled with golf, friendly rivalry, conversation and tasty eats. We all agreed, this spot makes a great place to connect and do something active. We’ll be back. Topgolf was a definite score on all accounts! ~Beth Beth Hey grew up in Overland Park and, as a travel journalist and photographer, loves to discover and share intriguing places, restaurants and things to do on Instagram and Facebook at Smart Empty Nest Traveler.